Your privacy is important to NC Policy Watch (NCPW), a project of the North Carolina Justice Center. NCPW has provided this Privacy Statement as means of explaining our online information practices and the options you have in the way your information is collected and utilized when you view websites published by NCPW. NCPW reserves the right to revise or change this policy at any time without notice. The NCPW Privacy Statement will be kept up-to-date and posted on the NCPW website. We protect account information by placing it on a secure portion of our Site that is only accessible by certain qualified NCPW staff. Transmission of any data over the Internet is not 100% secure. While we strive to protect your information, we are not able to ensure or warrant the security of such information. To this end, Credit Card numbers may only be transmitted via Secure Socket Layer encryption (SSL), and are not stored on the NCPW Web server. Our Site contains links to websites not operated by NCPW. 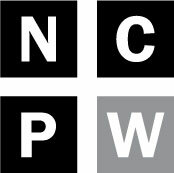 NCPW is not responsible for your experience at those sites. NCPW does encourage you to read and understand the privacy statements and policies of these outside sites as they may be different from ours. NCPW collects IP addresses from all site visitors. IP addresses are collected automatically from your computer and are not linked to personally identifiable information but provide aggregate data. Also collected are any personal information provided by you when you register at this site. NCPW uses both the personal and aggregate data collected for multiple purposes. The data is used to improve the content of the website, to customize the content and/or layout of the Site for each individual user, and, if requested, to provide information services by email to the user. NCPW will never sell or disclose your personal information to an outside third party except if required to by law. Our Site is intended for adults only, and usage by children 13 and under is not intended. For that reason, we adhere to the 1998 Children’s Online Privacy Protection Act (COPPA). (For more information, please visit the Federal Trade Commission’s COPPA site at http://www.ftc.gov/privacy/privacyinitiatives/childrens.html). If we learn the user submitting information to our site is a child we delete that information immediately.